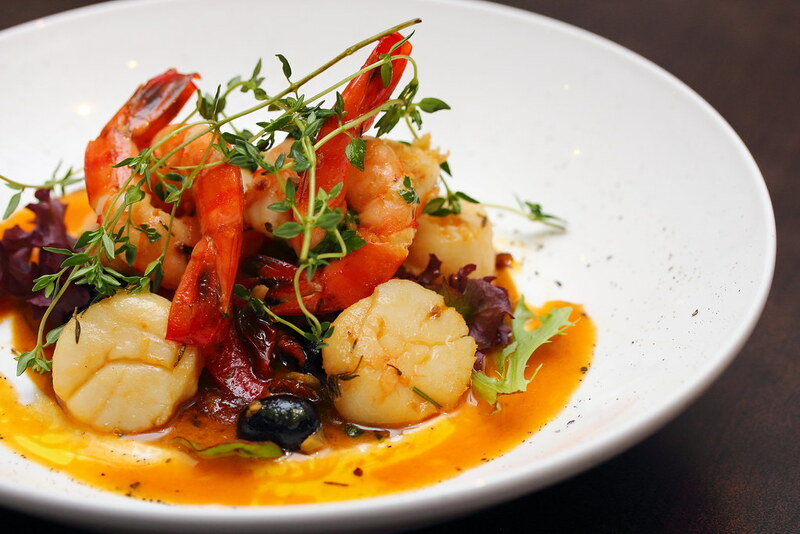 Capri Trattoria at Binjai Park which opened in 2011, was taken over by the current owner Milan-born Fabrizio Anzolin in Feb 2014 and together with Executive Chef Domenico Truglia gave the restaurant a complete menu revamp. To share the passion of their food heritage with their customers, the dual recently launched a new Monthly Regional Specials Menu from April 2015, featuring three distinct dishes and new creations from different provinces in Italy. 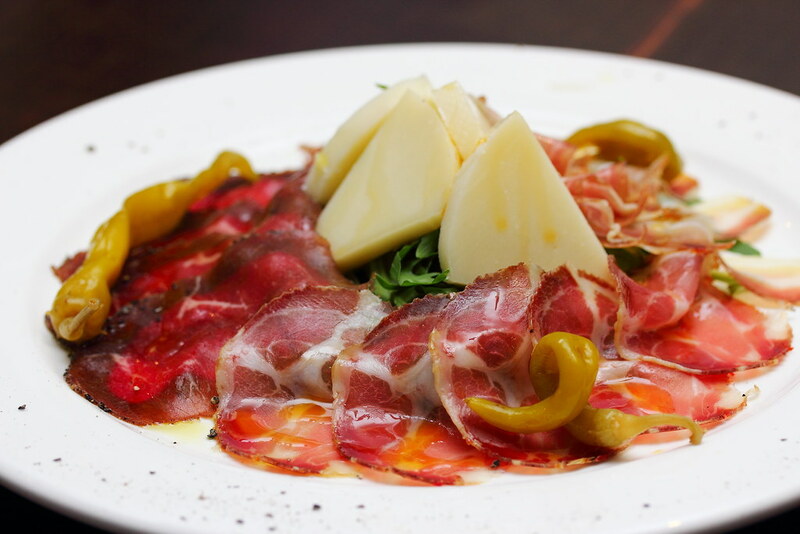 Dining like an Italian, we started with some antipasti, the Tagliere Casereccio ($28). This is a selection from Calabria, Southern Italy which comes with a platter of home-cured cold cuts such as pancetta (pork belly), capocollo (pork neck) and bresaola (air-dried beef) served atop a bed of rocket salad and accompanied by cheese, olives, cured chillies and sundried tomatoes, finished with a light drizzle of olive oil. The other antipasti on the menu that seafood lovers will rejoice is the Camberi e cappesante alle erbe ($20). 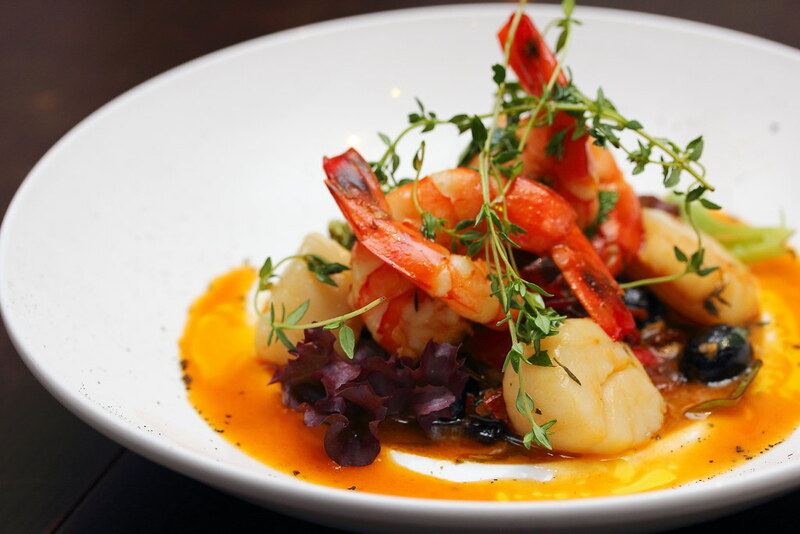 The beautiful plate from the ocean comes with prawns and scallops seasoned in a Mediterranean herbs are pan-seared in olive oil and served on a bed of mesclun, sundried tomatoes and olives. Accordingly to the owner, the Southern Italians like fiery-style dishes as compared to their northern counterparts. I was quite surprised. All this while, I only thought Italian is about tomatoes and olive. I never knew they like spicy food too. In fact, the used of fiery chillies is not uncommon both in preparation and curing process in the southern part of Italy. Pasta riccia all'nduja ($25) is one such dish on the menu that uniquely showcases the spicy side of Italian food. 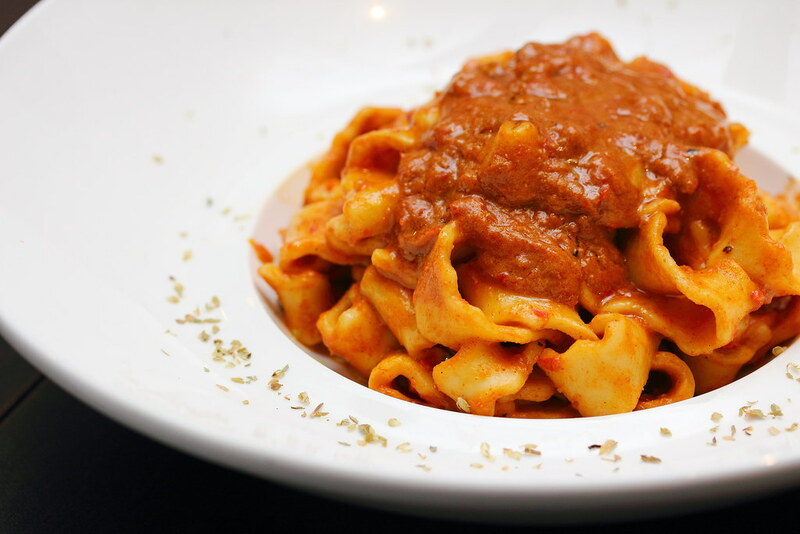 The wide and flat handmade pasta is tossed in a housemade nduja. Nduja is a fiery sauce that consists of a fine blend of pork, olive oil, silvers of garlic, ground black pepper, chilli flakes and ricotta. I think this will be a hit with Singaporean as we like spicy food and I have not known as of current any other Italian restaurants I have eaten, offering this unique spicy pasta dish on their menu. By the way, be warned that this is really spicy. If you can't take spicy, then there is the Cannarozzi allo zafferano ($25) which is just as good with its creaminess. 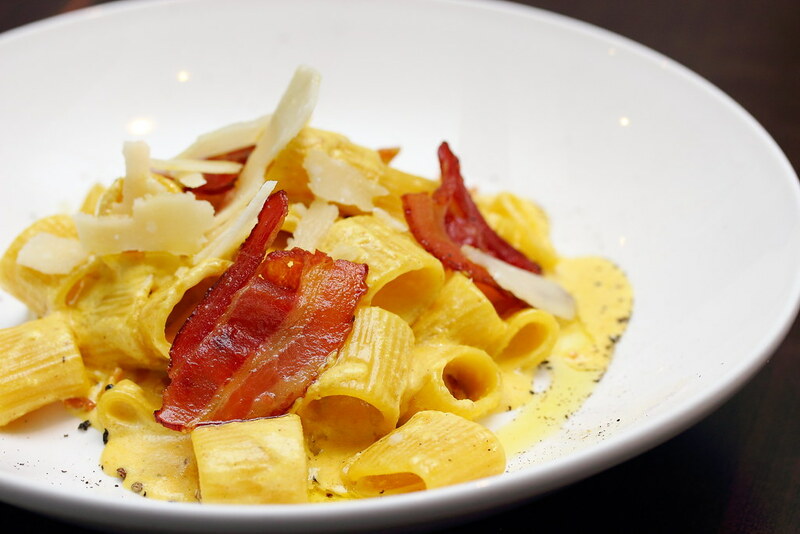 The tube-like pasta is sauteed in a saffron sauce with ricotta cheese, topped with smoky bacon, crispy bacon and shavings of parmesan. 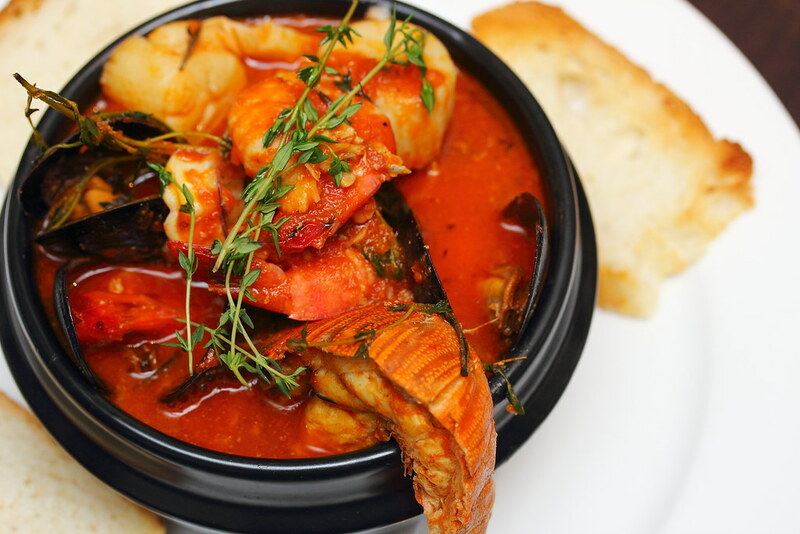 The traditional Cacciucco alla Livornese ($28) will delight any seafood lovers with a comforting bowl of tomato based sauce brimming with mussels, shelled prawns, squid, clams. crayfish and cod. Slices of home baked bread are served on the side to sop up all the tasty, saucy goodness. 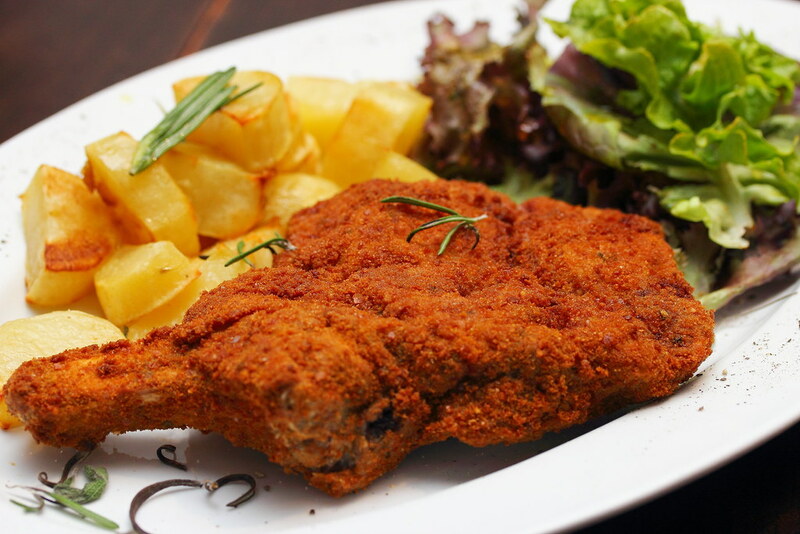 A hearty choice is the Cotoletta alla Milanese ($48), a 300g bone-in deep fried breaded veal chop served with roasted potatoes and side of fresh salad. The breadcrumb gives the veal chop a delectable crispy exterior while cooked to a nice moist and tender texture inside. 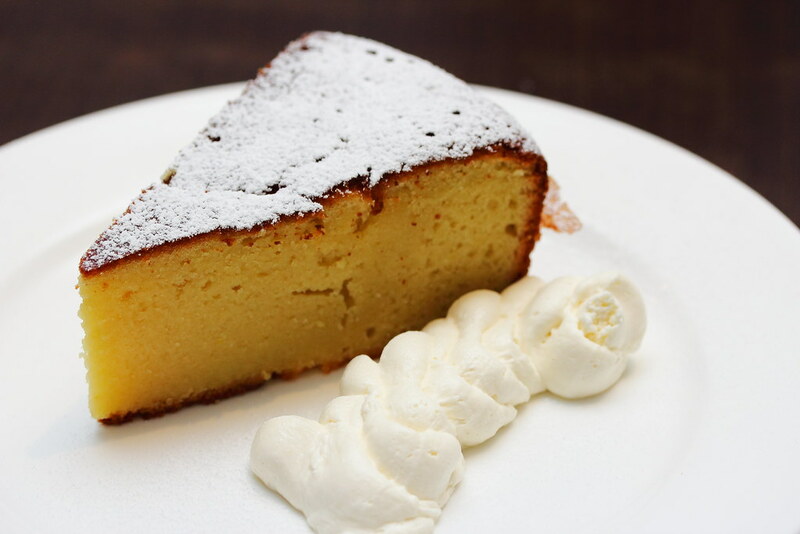 Ending the dinner is the Torta al limone ($10), a warm homemade lemon cake with a a side of cream. Th cake is dense, buttery and infused with a subtle tang of lemon zest. Dining at Capri Trattoria & Pizzeria is definitely a hearty, warm and cozy affair with delicious food around the different regions of Italy. The monthly regional special menu gives diner a reason to return too. Do also note that complimentary valet parking is available on Friday to Sunday during dinner time too.